models, as well as research on climate forcing and feedbacks. He has participated in several international assessments of climate models, particularly for assessing atmospheric chemistry. Gettelman holds a doctorate in Atmospheric Science from the University of Washington, Seattle. He is a recent recipient of the American Geophysical Union Ascent Award, and is a Thompson-Reuters Highly Cited Researcher. Richard B. Rood is a Professor in the Department of Climate and Space Sciences and Engineering (CLaSP) at the University of Michigan. He is also appointed in the School of Natural Resources and Environment. Prior to joining the University of Michigan, he worked in modeling and high performancecomputing at the National Aeronautics and Space Administration (NASA). His recent research is focused on the usability of climate knowledge and data in management planning and practice. He has started classes in climate-change problem solving, climate change uncertainty in decision making, climate-change informatics (with Paul Edwards). In addition to publications on numerical models, his recent publications include software engineering, informatics, political science, social science, forestry and public health. Rood’s professional degree is in Meteorology from Florida State University. 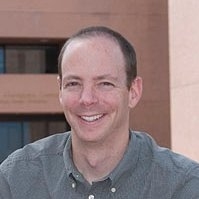 He recently served on the National Academy of Sciences Committee on A National Strategy for Advancing Climate Modeling. He writes expert blogs on climate change science and problem solving for the Weather Underground Richard Rood is a Fellow of American Meteorological Society and a winner of the World Meteorological Organization’s Norbert Gerbier Award.